Here's the PERFECT, move-in ready home loaded with captivating sunsets in a quiet neighborhood! Located on a wide canal with lots of boat traffic, plus only 12 minutes from The Caloosahatchee River without any bridges then out into the wide open Gulf of Mexico - great for sailboats and motorboats. No renovation work needed. Brand new metal roof, lighting, ceiling fans, boat cover, new mirrors, dock paint, garbage disposal, fridge, oven, dishwasher, microwave, solar heating panels, hurricane shutters, ultraviolet ac light, hot water tank, AC replaced in 2010, Tiki Hut Metal Roof, Quartz countertops in kitchen, and much much more! 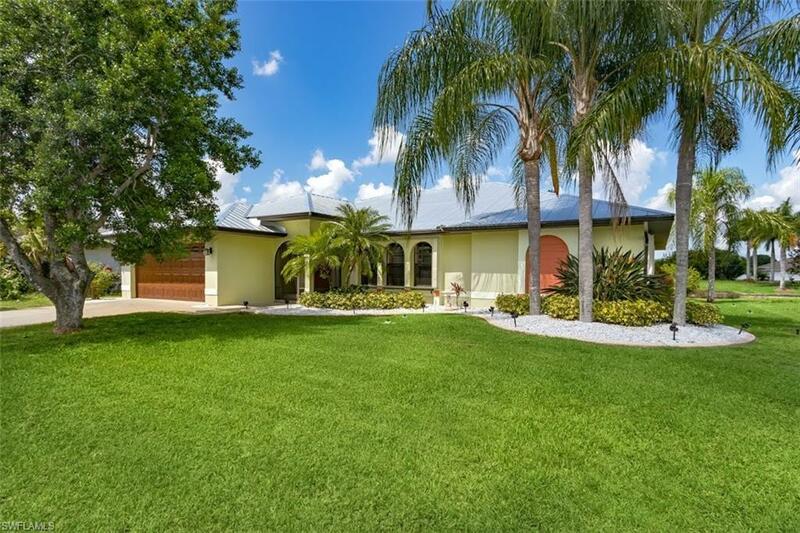 This ultimate Florida home screams FUN with a pool table and jacuzzi hot tub included. Make this home your new luxurious, waterfront, relaxation station with everything you need at your fingertips. Come and see this before it's gone!